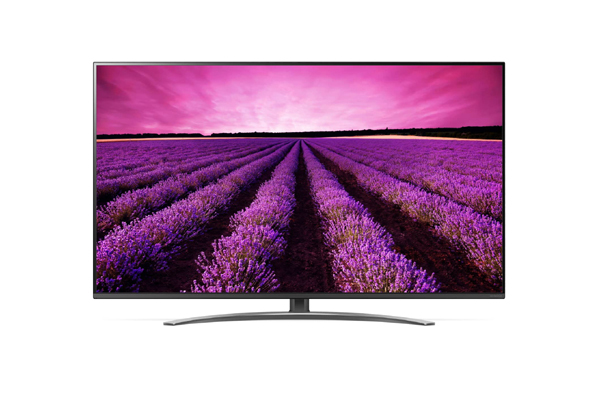 LG Electronics, a leading technology company, has unveiled its premium 2019 TV lineups, including new OLED and NanoCell TV series featuring ThinQ AI technology at the recently concluded InnoFest MEA, in Seoul, South Korea. The new TV models deliver upgraded AI picture and sound quality, underpinned by the company’s advanced second-generation a (Alpha) 9 Gen 2 intelligent processor and deep learning algorithm, said a statement from the company. With the new algorithm, LG’s TVs will offer optimised picture and sound by analysing source content and by recognising ambient conditions, it said. LG’s premium range for the MEA market is headlined by the flagship OLED TV lineup, which offers a variety of screen sizes: W9 (model 77/65W9), E9 (model 65E9), C9 (model 77/65/55C9) and B9 (model 65/55B9), it added. NanoCell is LG’s new premier LED brand, the name highlighting the outstanding picture quality enabled by NanoCell technology. Ensuring a wider colour gamut and enhanced contrast, NanoColor employs a Full Array Local Dimming (FALD) backlight unit. NanoAccuracy guarantees precise colours and contrast over a wide viewing angle while NanoBezel helps to create the ultimate immersive experiences via ultra-thin bezels and the sleek, minimalist design of the TV. The NanoCell series comprises fourteen AI-enabled models, available in sizes varying from 49 to 77 inches (model 65SM95, 7565/55SM90, 65/55/49SM86 and 65/55/49SM81). The a9 Gen 2 intelligent processor used in LG’s W9, E9 and C9 series OLED TVs elevates picture and sound quality via a deep learning algorithm (which leverages an extensive database of visual information), recognizing content source quality and implementing the best method for optimising visual output. Able to understand how the human eye perceives images in different lighting, the a9 Gen 2 intelligent processor finely adjusts the tone mapping curve in accordance with ambient conditions to achieve the optimal level of screen brightness. The processor uses the TV’s ambient light sensor to measure external light, automatically changing brightness to compensate as required. With its advanced AI, the a9 Gen 2 intelligent processor can refine High Dynamic Range (HDR) content through altering brightness levels. In brightly lit settings, it can transform dark, shadow-filled scenes into easily discernable images, without sacrificing depth or making colours seem unnatural or oversaturated. LG’s 2019 TVs also leverage Dolby’s latest innovation, which intelligently adjusts Dolby Vision content to ensure an outstanding HDR experience, even in brightly lit conditions. LG’s audio algorithm can up-mix two-channel stereo to convincingly replicate 5.1 surround sound. The a9 Gen 2 intelligent processor fine-tunes output according to content type, making voices easier to hear in movies and TV shows, and delivering crisp, clear vocals in songs. LG TVs intelligently set the perfect levels based on their positioning within a room, while users can also adjust sound settings manually if they choose. LG’s flagship TVs again offer the realistic sound of Dolby Atmos for an immersive entertainment experience.